If you’re like me, you ride with one eye on the road and one eye checking out what other cyclists are riding. There have been a few times where I’ve stopped to admire a bike parked somewhere in the city, pulled out a pen and paper, and scrawled a note to the owner about how much I like his or her bicycle. I then wedged it somewhere on the bike for the owner to read. I call it bikemail. Middle Gersemalina, who is quite familiar with my passion for the velocipede, found an alternative for my hand-scrawled bikemail. She discovered some elegant letterpress tags made by Heroes and Criminals Press out of Asheville, North Carolina. Why leave a note like this? When you can leave something like this? If this bike looks familiar, that’s because it is my Surly. 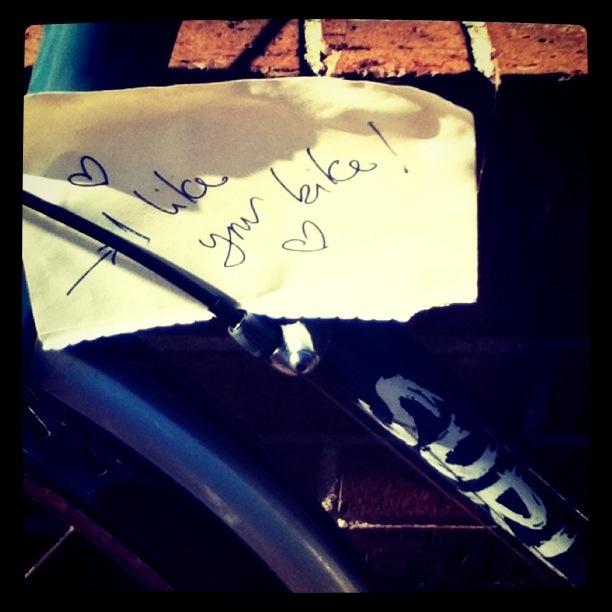 Hey, if you can’t heart your own bike, how can you heart anybody else’s? 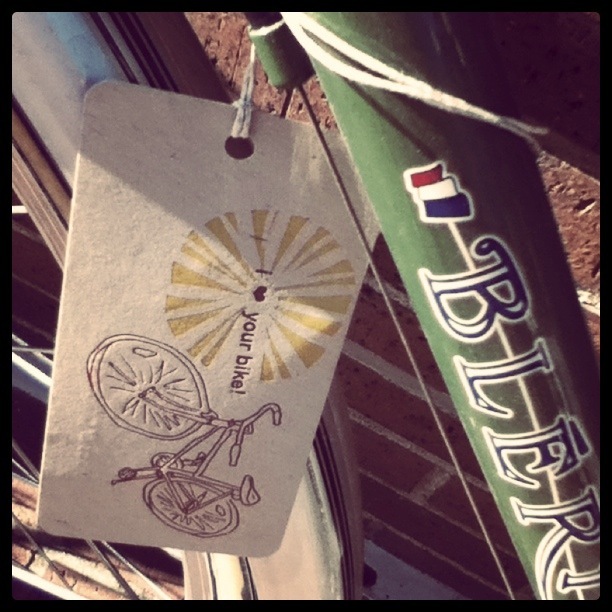 But please don’t think that my bikes are the only ones getting any bikemail love from me. 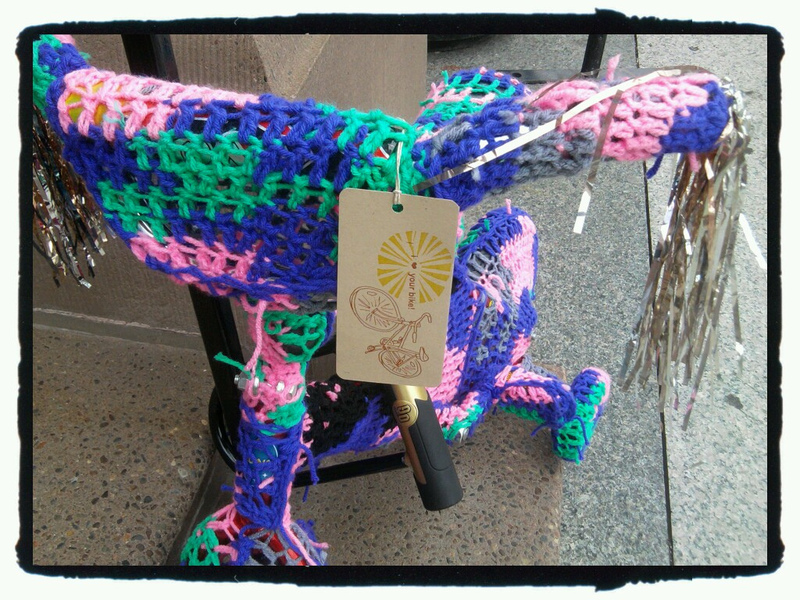 Olek, I heart your bike, too. 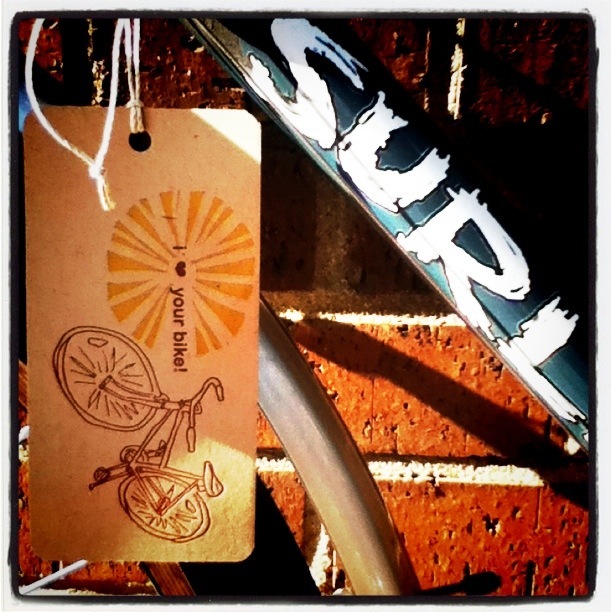 Of course, these letterpress tags are pricier than a hand-scrawled note, but as long as you don’t like too many bikes, I think you’ll be ok.